This combo unit is one of the most economical classroom solutions available, yet it still offers comfort. The waterfall front, deep seat pocket, and rolled back seat crest provide excellent ergonomic support. 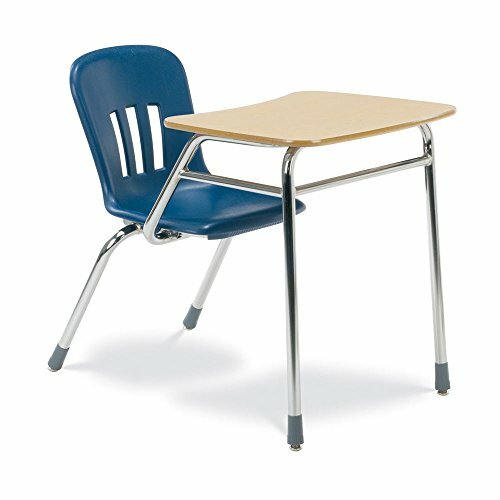 Unit features a 19 x 25" bowfront fusion maple high-pressure laminate top, 18" H navy polypropylene seat, a chrome frame finish, and graphite glides. Shipping wt, 35 lb. Shipped from factory; allow 7 to 10 days for delivery.